Massachusetts, a state with a reputation for liberal politics, has what many consider outdated election laws. That is about to change as state legislators have approved a compromise bill that includes provisions long sought by advocacy groups. 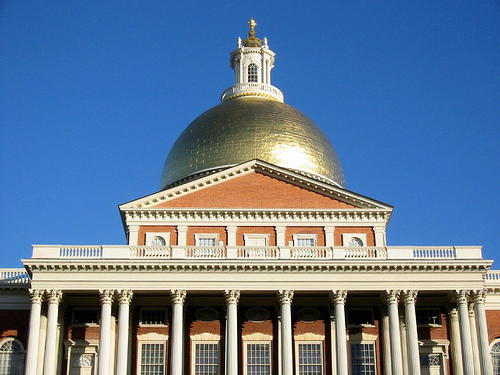 The Massachusetts House approved the bill 145-5. The Senate vote was unanimous. Governor Deval Patrick is expected to sign it into law before he leaves on an overseas trade mission next week. Most of the changes, including early voting, would begin in the 2016 election. Be the first to comment on "Putting the “New” in New England: Massachusetts Poised to Adopt OVR, Early Voting"